It seems our culture loves to over-condense issues and subjects to their most simplistic form, right vs wrong, good vs bad. Today we invite you to peer beyond this simplistic belief and understand that plaque isn’t good or bad, how some stages of plaque do play a role in tooth decay and gum disease, how other stages of plaque actually protect our teeth, and how you can be a ‘good conductor’ of the symphony in your mouth. Mountains of research are currently expanding our understanding of the human microbiome, the complex community of microbes that live in and on our bodies, and the many roles they play in the creation of health and disease. We’re sure that you’ve read somewhere in the past few years that 80% of our immune system is in our belly (aka gut). The majority of our immune systems is comprised of microbes that are not part of our bodies. They are in fact ‘outside’ our system yet we rely on one another for life. These microbes provide protection against foreign invaders, educate and stimulate the immune response, produce antimicrobials, aid in digestion, and produce vitamins, among a host of other functions. Within our mouths is a complex community of organisms that makes up the oral microbiome. The mouth is the gatekeeper to the entire digestive tract which is home to this majority of our immune system. (Talk about a clear ‘mouth/body’ connection!) Incidentally, this is why we consider our work here at OraWellness so critical and why we are honored to help bring important subjects like this to your attention. While we will be diving much deeper into this fascinating microbial world in our mouths in future articles, for the sake of keeping it simple today, the diverse species that make up our oral microbiome (and the entire human microbiome for that matter) are generally grouped into 3 groups: symbiotic (good bugs), commensal (the majority of the community), pathogenic (disease-causing). Here’s the rub… The bugs change teams depending on who is winning the game at the moment. While we aren’t big sports fans around our home, I think an analogy of a sporting event works for this example. Have you ever been watching a sporting event where you didn’t care who won? You were essentially a ‘commensal’ spectator at that moment. At some point in the game, most of us will begin to root for the team who is winning/doing better. It’s a very natural occurrence that we are perhaps hardwired to do. In this exact same way, commensal microbes in our oral microbiome are neither ‘for’ or ‘against’ the health of the host (aka you and me). However, and it’s a big however in this case, once one side seems to be getting the upper hand in the game, more and more commensal bacteria swing over to the ‘winning’ side. In the game of oral health, this can cause an ever quickening slide toward a breakdown in our oral health. This is especially true during times of great stress which research has proven time and time again is a primary factor in disrupting a healthy balance and provoking a rapid decline in the health of our mouths. In science talk, when the game is off balanced it’s called dysbiosis (for those of you who like to geek out on word derivations, dysbiosis literally means ‘ill-life’). And the precious balanced state is called homeostasis (‘similar-state’). The good news is life seeks balance. And there is much we can do to support a balance to keep everyone playing nicely together and help us maintain an optimally healthy mouth. We have been taught to think of plaque as ‘the bad guys’ and us as ‘the good guys’. However, now that you’ve met your oral microbiome, you realize that this overly simplistic good/bad model just doesn’t support life. Not to mention that this simple model causes us chronic stress because we cannot stop plaque formation in the mouth, nor do we want to. Before you throw in the towel, read on because there is much we can do to help support/steer nature to a healthy, happy ending. In the literature, plaque is called biofilm. And biofilms are villages, colonies of many different species of microbes. Not all biofilms are created equal. Some are health giving and others cause disease. In fact, biofilms go through clearly defined stages that we can relate to a lifecycle of the biofilm colony. Surely you’ll recognize some of the names of the characters in this lifecycle. We see this lifecycle as a continuum, a spectrum if you will, from zero plaque to extremely well-established plaque. Once the pellicle is formed, oxygen loving (aerobic) bacteria attach to the pellicle. Characteristics of this biofilm are that the microbes involved are oxygen loving and the biofilm is thin and not sticky. These aerobic bacteria tend to be mostly symbiotic ‘good bugs’ or commensal (neutral). As time passes and we move down the continuum of the lifecycle of a plaque colony, we find that other microbes begin to attach to the earlier, thin biofilm. Some of these microbes produce a sticky enzyme which thickens the biofilm and allows more diverse species to join the colony. As the biofilm thickens and becomes sticky an important shift begins to take place. The amount of oxygen that can enter the biofilm declines. This shift from an aerobic to an anaerobic (low oxygen) environment is a major issue and something we want to directly manage. We call this phase of the lifecycle plaque because it’s sticky and whitish in color. The shift toward a progressively more low oxygen environment creates the ecosystem for pathogenic (disease-causing) bacteria to begin to populate and colonize the biofilm. If the plaque colony is allowed to continue along its lifecycle, we find ever thickening environments develop, with even lower amounts of oxygen in the biofilm. This continued decline from an oxygen-rich biofilm to one of very little oxygen makes for a rapid change in the balance of microbes that help support our health to an environment where the pathogenic microbes are running the show. Remember how we talked about how the commensal bacteria help the winning team? Well, the anaerobic environment means the disease-causing bugs are in charge and the commensals actually start following the orders of the pathogens. This is the common path of degeneration of the mouth that so much of our society is completely unaware of. On the far end of the spectrum of the lifecycle of a plaque colony, we find hardened, calcified structures that the low oxygen loving microbes have built as fortresses to protect them while they do their dirty work. These fully mature plaque colonies are dominated by disease-causing microbes that have successfully stolen from your body minerals like calcium and phosphorus. These are the very minerals that are in your saliva to remineralize your teeth. But these anaerobic microbes have stolen these minerals and have built themselves fortresses to protect their colonies from being disrupted by you or our precious saliva always looking to defend and support our health. We know this state of hardened plaque as calculus or tartar. Two main qualities consistently shift through this lifecycle that we can use to optimize our oral health. Thickness: First, the biofilm shifts from thin and clear to thick and sticky, ultimately becoming hardened and calcified. Amount of oxygen: Second, as a result of the increased thickness, the environment becomes increasingly anaerobic (low oxygen). This shift from aerobic to anaerobic environment allows for the change in the microbial population from bacteria that help us be healthy to a colony dominated by pathogenic (disease-causing) microbes. Our primary goal in being a ‘good conductor’ of the symphony in our mouths is to encourage the biofilm to stay thin and oxygen-rich as this thin, oxygen-rich biofilm helps protect our teeth from decay and keeps the ‘bad bugs’ implicated with gum disease from getting out of hand. How to accomplish being a ‘good conductor’ of the symphony in your mouth is the focus of the next article in this series. 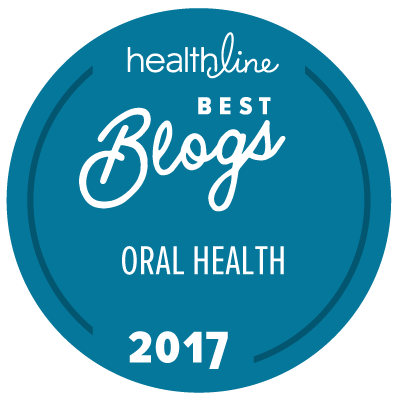 Here’s a link to “Can some plaque actually help our teeth stay healthy?” where we explore how some biofilms protect our teeth from decay and steps we can take to support the health giving phase of biofilm while discouraging biofilm production that undermines our health. Was this information helpful for you? Have you also believed the myth ‘all plaque is bad’? Please share your thoughts and stories with us in the comments below. This is an excellent summary of the process that pellicle becomes plaque, which becomes tartar (calculus), which becomes periodontitis which becomes whole body disease. The formation of the final calculus fortress is largely mediated by electrical charges in the mouth. I suspect that changing that charge is going to be a key to both preventing and also stimulating natural (spontaneous) reduction of tartar/calculus. Many questions come to my mind such as,; What “charge”? ?, does pH come into this “electrical charge” equation, what effect do the natural minerals in our saliva ( or the ones we use in our mouth care products) have on the charge, and does “grounding” either naturally with bare feet on natural ground cover or with a grounding sheet or pad come into play with this oral “charge”? You guys are awesome. I survey health information and research as it pertains to dog breeding and share it on a FB page. This information applies to animals as well and just as you point out there is too much information that condenses into a few simple ideas and they stick. This is the “stuff” of marketing products, not health. The conflicting information in canine health is even more rampant. Kudos for presenting the information and backing it up! Hmmm…nice analogy for human behavior as well. Hi, great article! Has the follow up been written? I can’t seem to find it- “How to accomplish being a ‘good conductor’ of the symphony in your mouth is the focus of the next article in this series”. Thank you! All the tools you need to up-level your oral health! Take control of your oral health today.